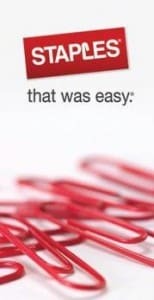 Click here to visit the Staples site and you’ll be able to print a coupon good for 300 free Instant Labels ($9.99 value). Offer valid until 8/24. See coupon for more details. I am unable to find the coupon ? I clicked here where it said and it went directly to the coupon.